My first thought when I heard “Confessions,” the title track, was that George Michael was singing synth-pop with a heavy backbeat and rock guitars. 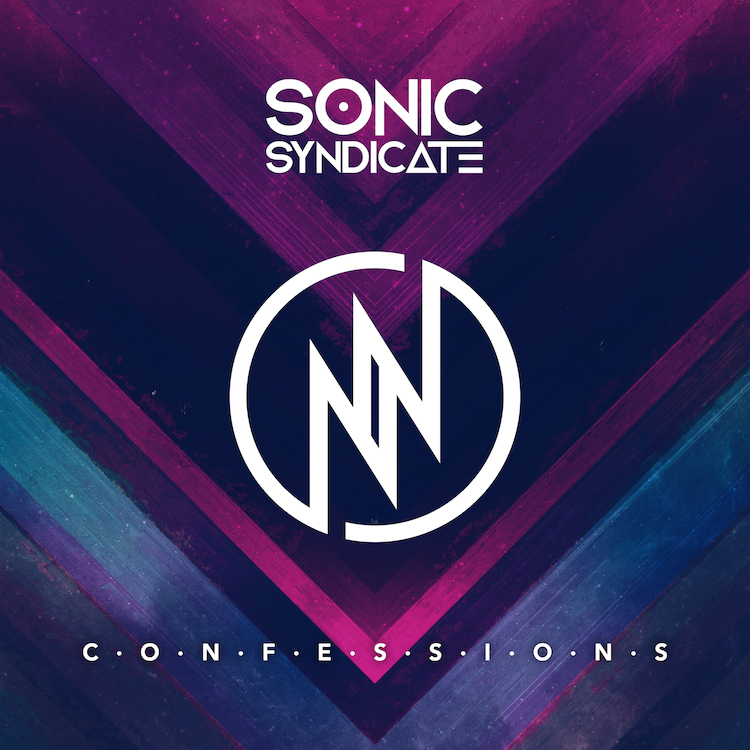 An intriguing opening track, it announces a brand new sound for Sonic Syndicate, and even as Confessions settles into its heavy melodic synth-infused rock core, it is very much unlike anything else in my collection and quite different from Sonic Syndicate’s prior releases. I’m sure it’s causing quite a bit of consternation among the band’s legion of existing fans. Indeed, yes, when Nathan J. Biggs took over vocal duties on We Rule the Night, there was a noticeably more melodic shift, but Confessions is a seismic departure. I’m intrigued, but I also wasn’t a devoted fan before the change, so I enter the equation without preconceived notions. The synth-driven beats, pop vocal sensibility, and persistent beat (almost like you’d expect in a dance club) are truly a hybrid sound. On this disc, Nathan and founding guitarist Robin Sjunnerson are joined by Michel Bärzén on bass, as well as other musicians in the studio. And they’ve produced a one-of-a-kind sound worth taking a chance on. Third track “Start a War” is a standout track, as it builds to power, stops and starts a bit, and plunges forward with an infectious heavy melodic rhythm. Throughout the album, there are small details – like the guitar run in “Falling,” for example – that serve as hooks while showing the care that went into the song construction and production here. And the bursts of power in “Burn to Live,” strung together with softer vocal bridges and walls of synth and guitar provide the song with an engaging energy. 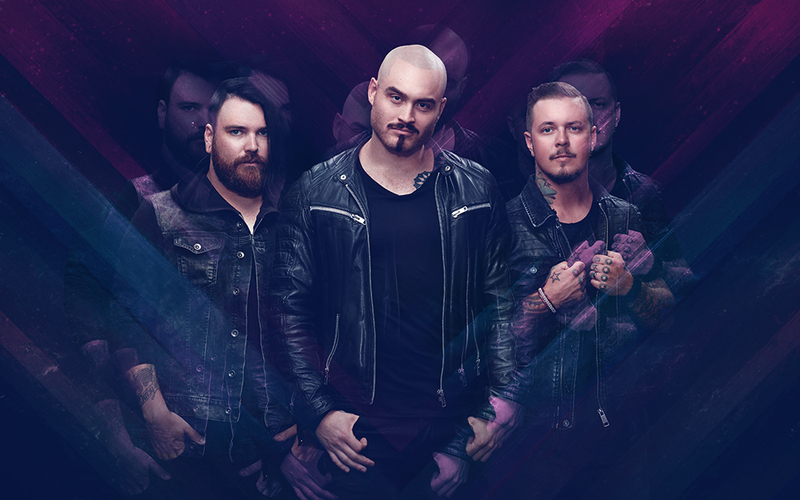 Beyond that, I suppose “Still Believe” would be a ballad in the scheme of Sonic Syndicate’s sound, with its slower pace, and there’s a seriously pop angle to the vocals, but the heavy drums are still there. Second-to-last song “Closure,” though, is Confessions‘ true ballad, with what sound like soaring strings toward its conclusion. The album itself concludes with “Halfway Down the Road,” a mid-tempo rocker featuring an old-school classic rock guitar solo; this final song itself is largely unlike the other tracks on the disc. In all, Confessions is a daring departure for Sonic Syndicate. For the band’s longtime fans, if their musical tastes don’t span the musical spectrum, they may not be excited by the change (to put it lightly). Indeed, I expect the backlash to be brutal from some corners of the metal community, but for those whose fandom is not wedded to a specific genre or sub-genre, it’s an intriguing disc. I tip my hat to Sonic Syndicate for such bold experimentation, and I do have a couple favorite tracks on this album. Sonic Syndicate’s upcoming live shows, as listed on their website, are tonight, November 19th at Majestic Music Club in Bratislava, Slovakia; tomorrow, November 20th at Simm City in Vienna, Austria; February 8th at Klubi in Tampere, Finland; February 9th at Lutakko in Jyvaskyla, Finland; and February 10th at Virgin Oil Co in Helsinki, Finland. Check the Sonic Syndicate website’s “Shows” page for further details and additional live dates as they’re added. This entry was posted in Album Reviews and tagged Album Review, Geoff Wilbur, Sonic Syndicate. Bookmark the permalink.